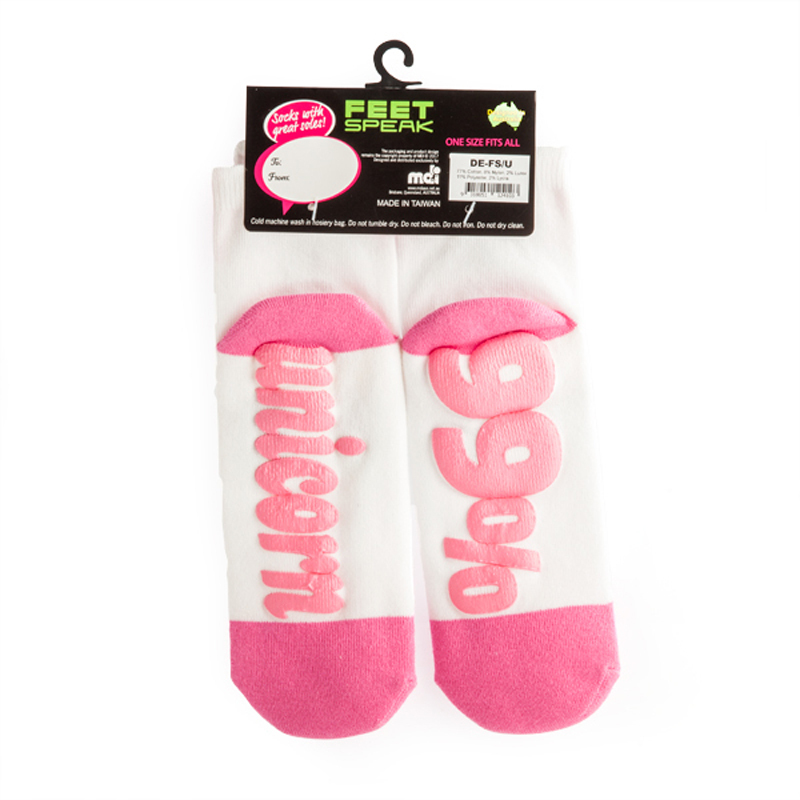 Feet Speak Unicorn Socks | Magical socks with great soles! Magical socks with great soles! Leave a sparkle everywhere you go! 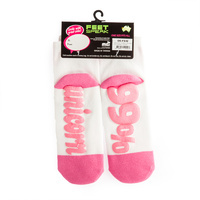 These majestic socks feature a glitter stitched unicorn on the top with cute fabric ears! On the bottom are the words "99% unicorn", making you unique in your own special way. 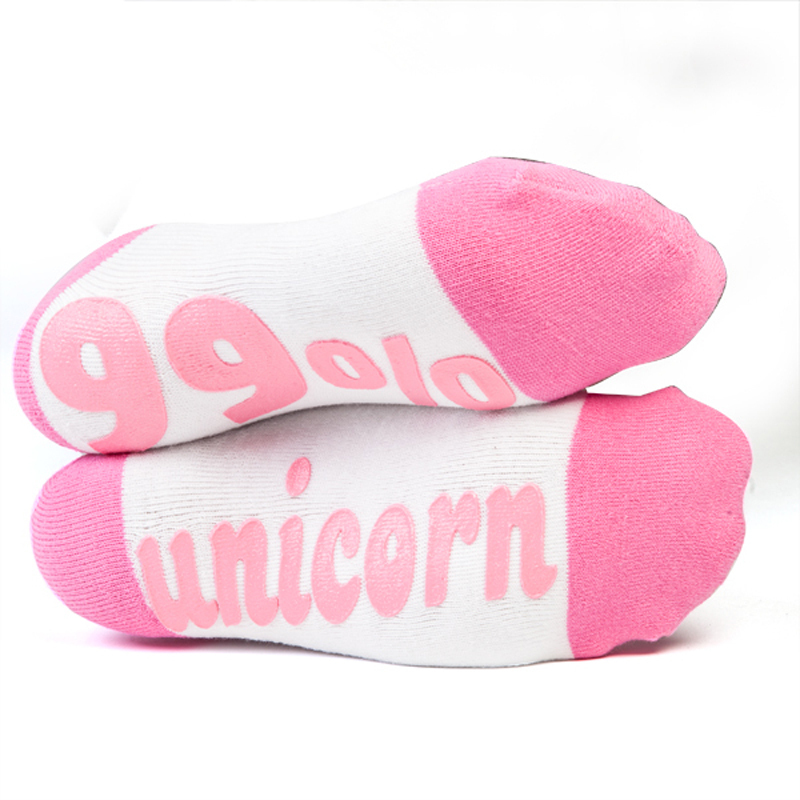 So if you strive to be one of a kind, these socks are just for you. Wear them as a reminder, that dreams really do come true! 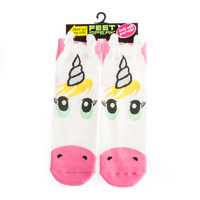 Go on, run with the unicorns in your new socks. 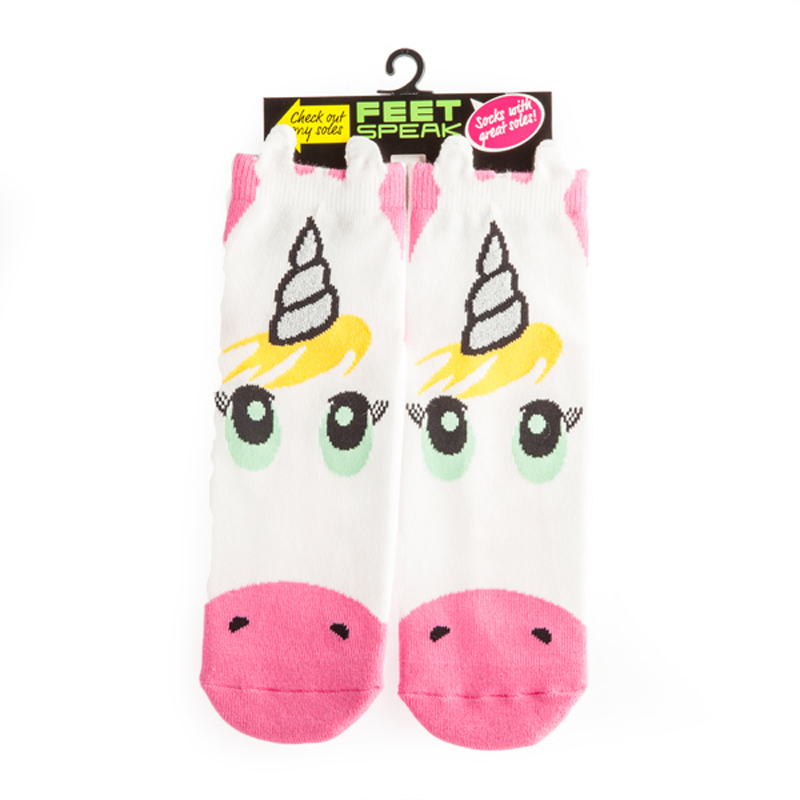 I brought these socks purely for the enjoyment of the children I look after they have fun pretending my feet are real unicorns.